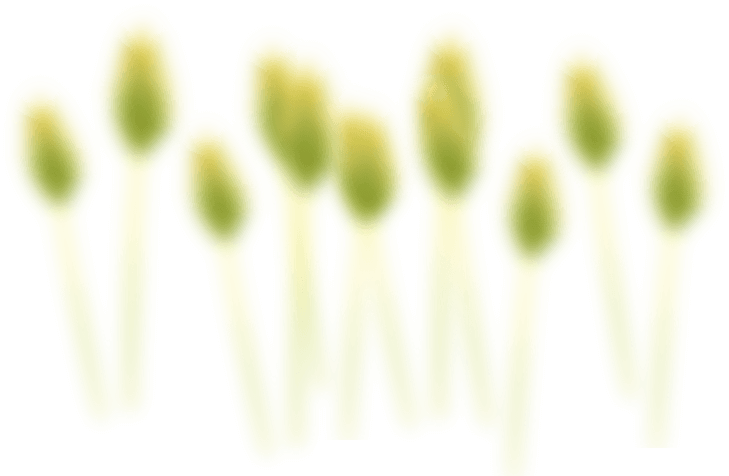 And so, the long-awaited spring has come. 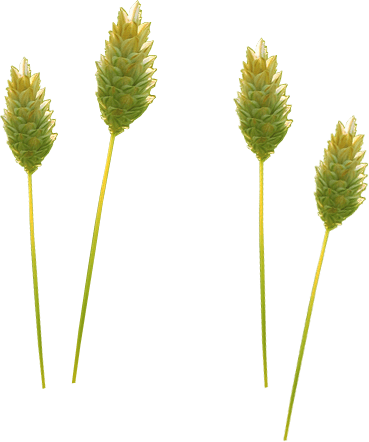 This season in Poland can be described using the old saying: “Kwiecień plecień poprzeplata, trochę zimy trochę lata”. Spring is the time when nature awakens to life and thousands of birds visit Poland. Małgorzata Pawelczyk will talk about it in her story about the Biebrza and Narew rivers. 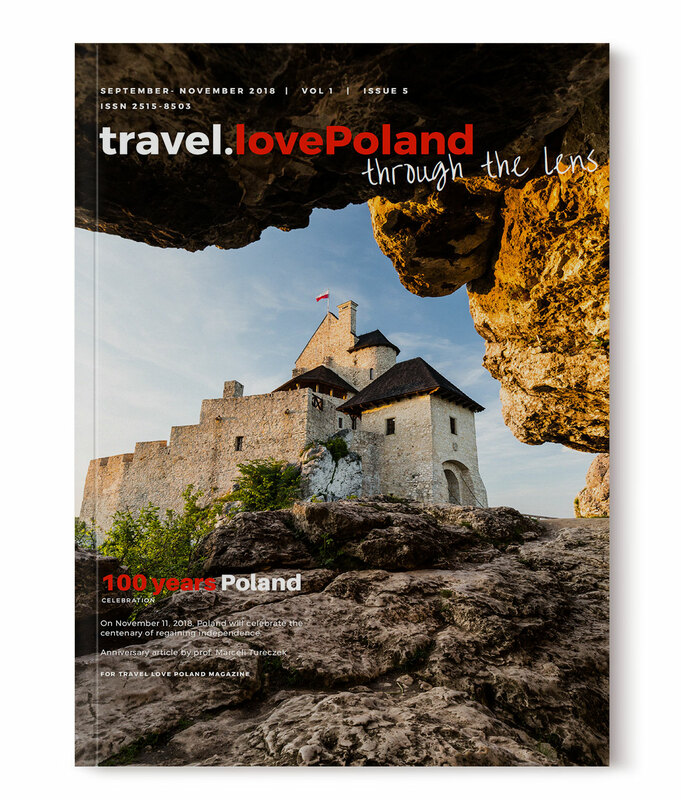 In this issue, we would like to invite you to the region, which is maybe less known, but offering great rest in silence, combined with the opportunity to learn about the Polish tradition and culture, i.e.  Kurpie. Bogdan Białczak will guide us around. By the way, if you choose a slightly different route, coming to Poland by car, maybe it is worth visiting the cross – border city of Szczecin? Damian Róż invites you there. For history lovers, we recommend the conversations with Radosław Sikora (a historian and an expert in Polish Hussars) and Marek Kalasiński – a photographer. 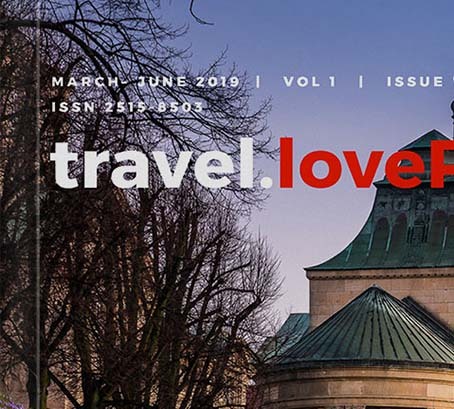 It is also worth taking a look at Poland from above, if only to see Krakow from a less known perspective, or to visit less-known places, nevertheless attractive and related to the history of Poland – all this in the conversation with Radosław Kowal. You will also visit, guided by Mikołaj Gospodarek, the Bears’ Cave. 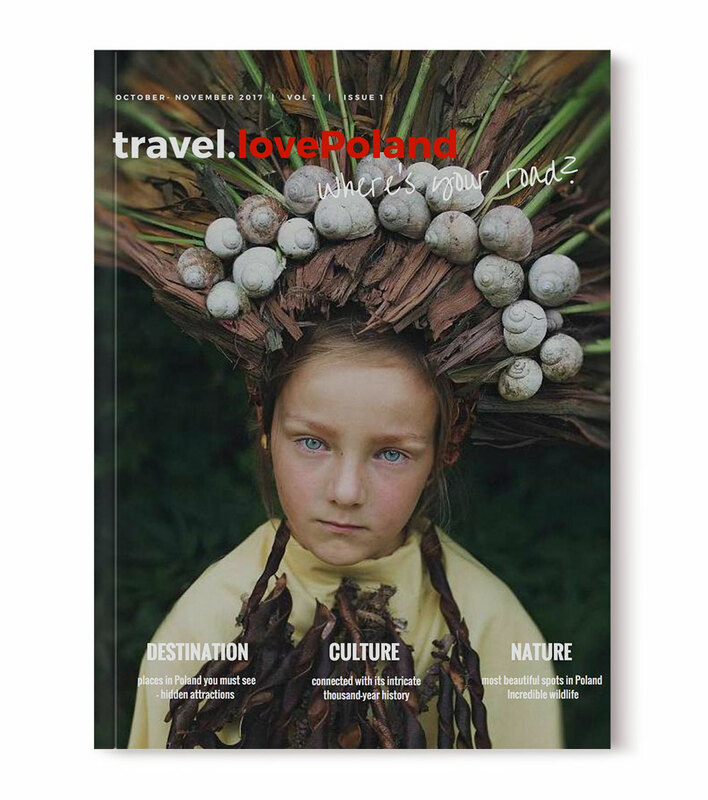 In this issue, you will also find lots of cultural information and some related to Polish traditions, shown e.g. in the photographs by Łukasz Sowiński. If you like our magazine, please donate $1.50 towards the cost of maintaining our servers and publishing platforms. Thank you! Winter, although often associated with cold, is one of the most beautiful seasons. In Poland, as in many parts of the world, the climate is changing and there is less and less snow every year, however, in many parts of our country it is still enough. We invite you for a journey through Poland dressed up in a winter robe. Visit the eastern regions with famous wisents – European bisons, get to know the wild birds that you can meet with us and, above all, go to the mountains: for a long winter wander, to see their natural beauty or to meet wild Polish horses. And when you are tired, come for a cup of warm tea to Krakow, Zakopane or Warsaw. There, you can feel festive atmosphere. And if you want to get to know our traditions, visit the Open-air Museum in Sierpc or try to search among the inhabitants of Zakopane, for at least one of the strong highland ladies. However, if you stay at home and read only our Magazine, you will still have the opportunity to get to know all these places thanks to a great pictures. Out of stock. Please read online. Welcome to the autumn issue of the magazine. 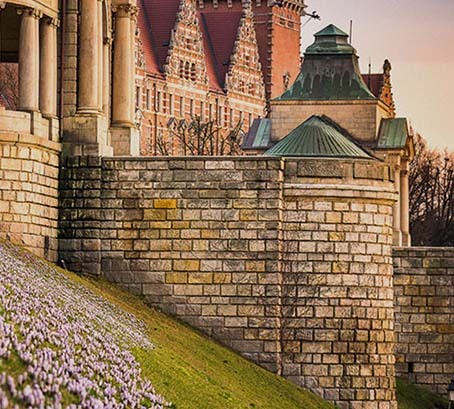 As in the previous editions, we show you Poland through beautiful photos, hoping that it will encourage you to further search and visiting our country. On November 11th, Poland will celebrate 100th anniversary of Independence. For this reason, Professor Marceli Tureczek prepared a special anniversary article focusing on the main points of this historic event. We hope you will celebrate with us. 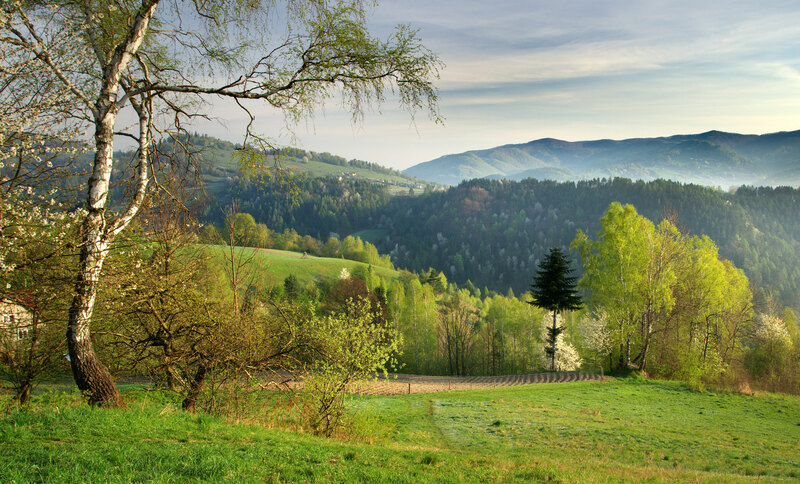 As always, we encourage you to get to know and visit different parts of Poland. 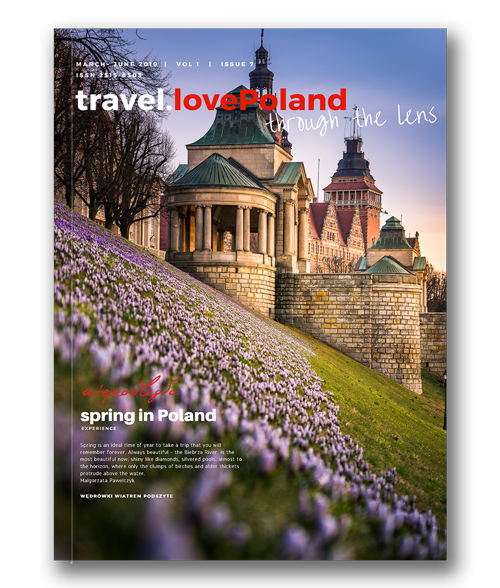 Marcin Tarkowski will take you on a trip to Lublin – charming, full of tradition city in Eastern Poland. We also encourage you to read a conversation with Wojciech Bytner who takes photos of Masuria – the land of thousands of lakes. And then, together with Włodzimierz Stachoń, we will move to Sub Carpathian region to discover the beauty of wild nature. Similarly, we cannot ignore the photographs of Mikołaj Gospodarek, who shows full of nostalgia Masovia region. It is not possible to list all the recommended texts and photographs In the short introduction, so let discover them with us. This season of the year encourages us to leave our homes, travel, discover and make new friends. 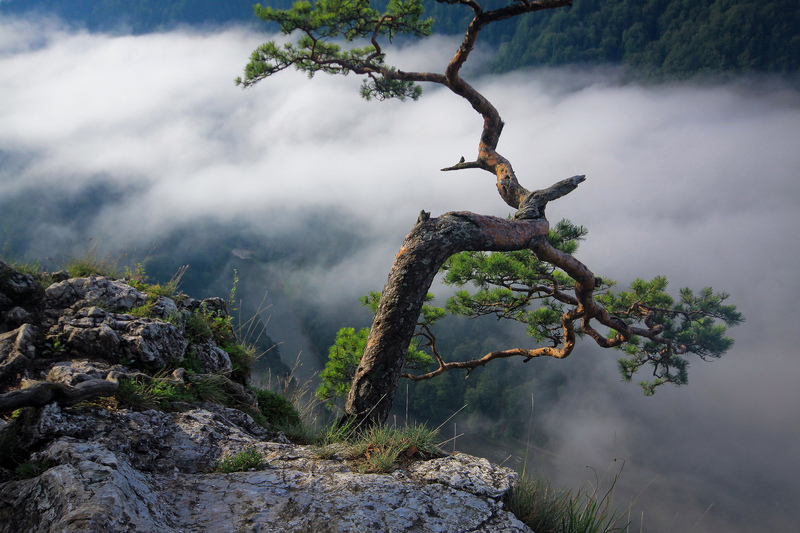 In Poland, summer is beautiful and the possibilities of discovering and exploring the landscapes are almost limitless: from the Baltic Sea to the picturesque Tatra and wild Bieszczady Mountains. 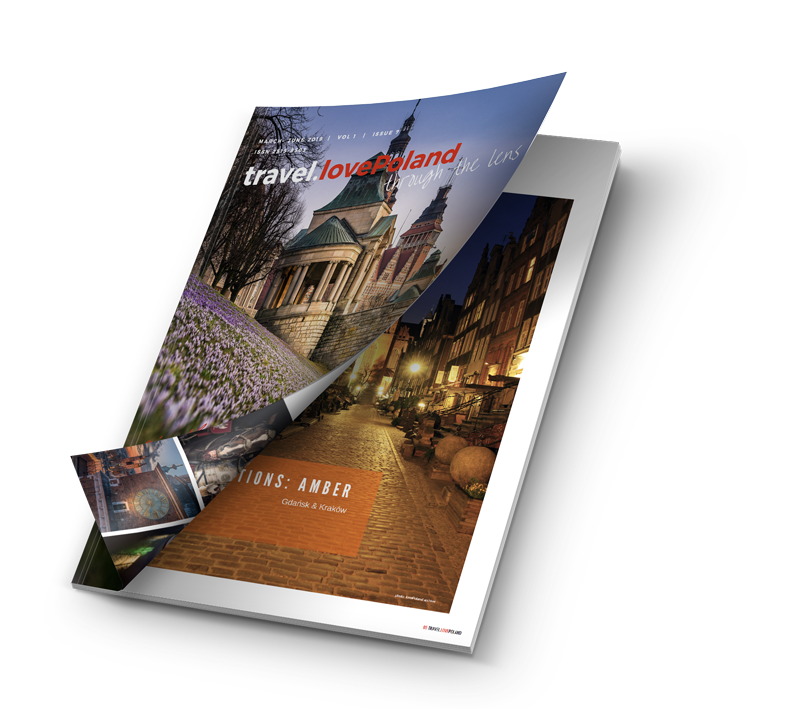 We invite you to get to know different parts of Poland, including those less known. We start our journey with the Wieliczka Salt Mine – known probably to everyone and after a while we move to Wrocław, recognised as the best course of expeditions in Europe. 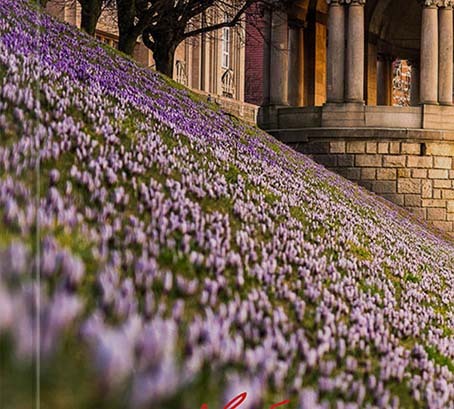 While in Wrocław, you will be guided by Janusz Krzeszowski, a local photographer. 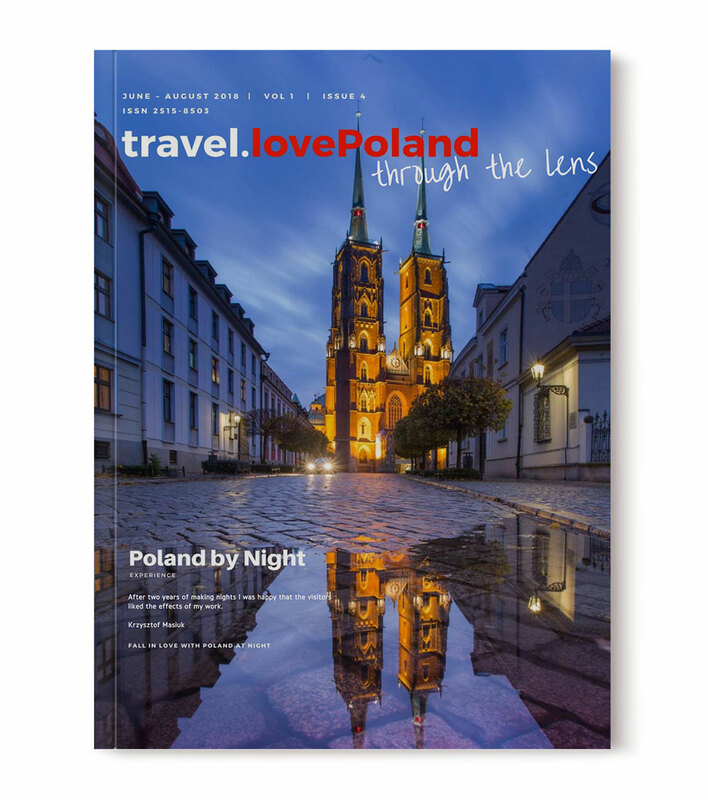 In this issue, we devote a lot of space to the project Fall in Love with Poland at Night, showing different places, sometimes less known to foreign tourists (e.g. Tarnow, Sucha Beskidzka, Bydgoszcz or Zielona Gora). Summer in Poland is also a time for people with religious sensitivity to make pilgrimages to the places of worship. 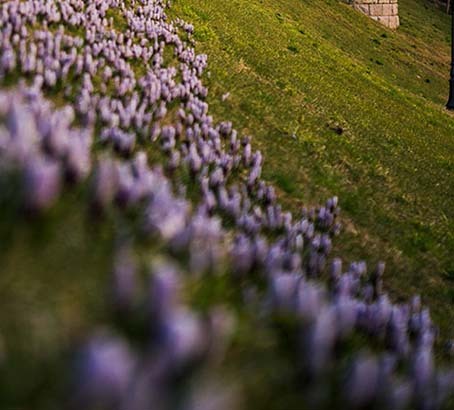 This time we invite you to St. Anne Mountain that will be presented to us by Błażej Duk, a photographer and the author of the website devoted to this sacred place. Welcome to the spring edition of the magazine. 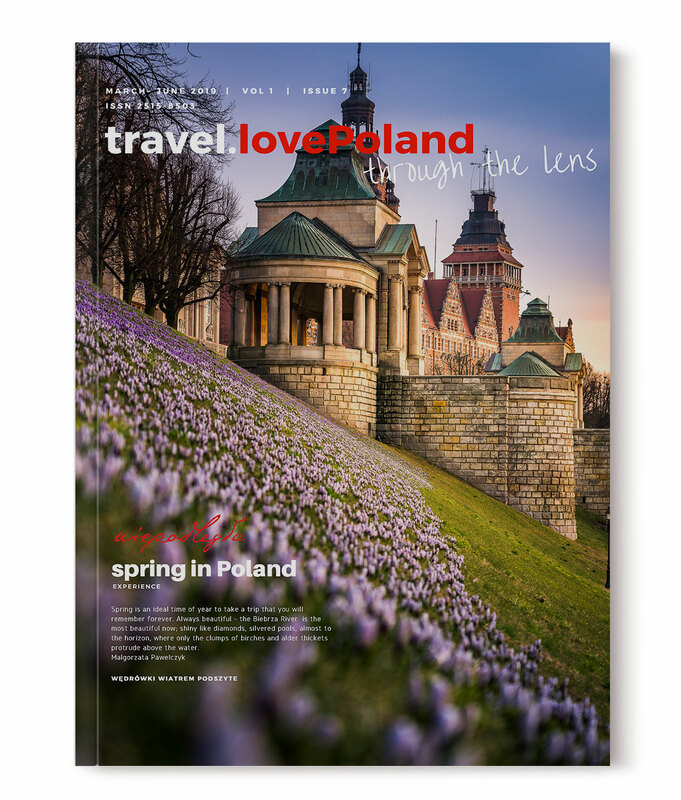 As in previous editions, we show you Poland through beautiful photographs, hoping to encourage you to search on your own and visit our country. The motto of this number is ‘Go East’. Eastern Poland is definitely less known and popular among tourists, probably due to the further distance from the most popular tourist centres. However, it has much to offer, especially for those who seek peace, silence and communing with nature. We devoted two important texts to the East. The first of them, ‘Magic of Podlasie’, is a conversation with Jerzy Rajecki, an enthusiast and a real institution when it comes to photographs and documentation of this region. Another article is ‘Holy Mount Grabarka’ with an excellent text by Alicja Marciniak-Nowak. For me personally, as for an editor of the magazine, the conversation with Franciszek Kupczyk and his photographs of monks from the Camaldolese Assembly are of particular importance. This is our second issue, but working on it was a source of great satisfaction. It is also a special Christmas issue. 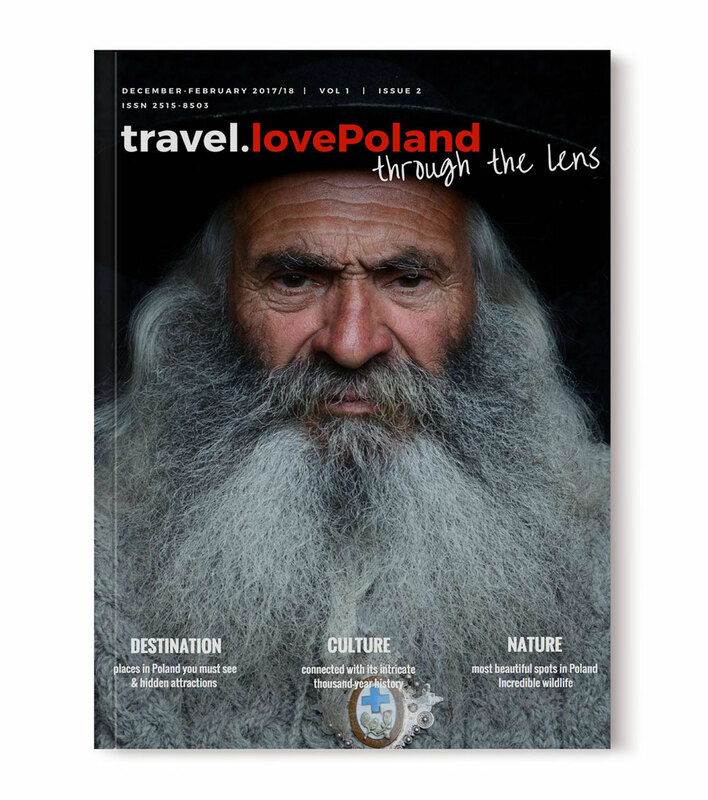 We encourage you to read the article devoted to portraits of Polish highlanders by Bartłomiej Jurecki – that’s a fascinating story. We also recommend a conversation with Andrzej Dudek, a director of the Polish theatre in Limerick. A very interesting point of view at the fate of the Polish diaspora. 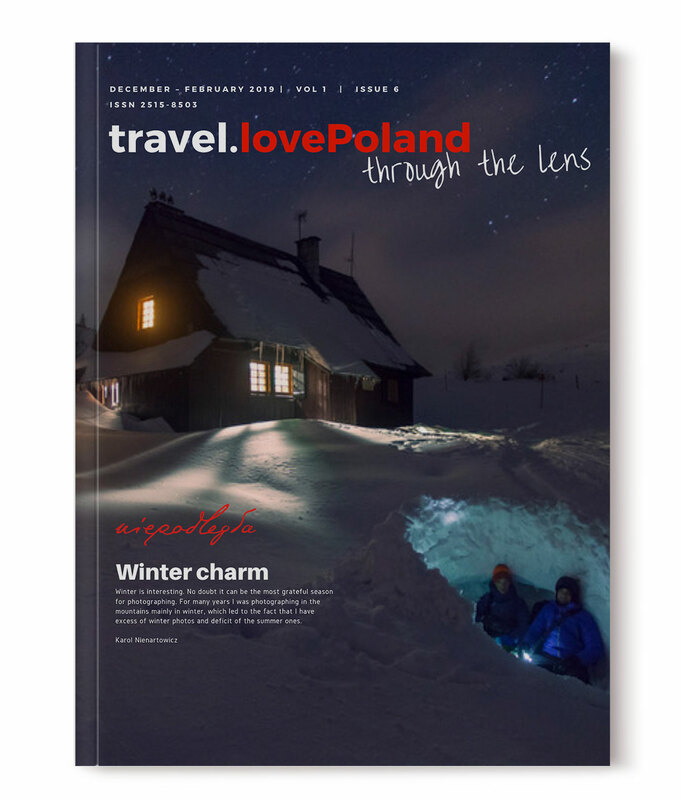 In the issue you will also find a description of many traditions connected with Christmas in Poland, which is unique in many aspects. Of course, this is not all, as in this edition there are lots of other fascinating photographs and texts. Hereby, we would like to thank the authors of the photos for their openness and willingness to cooperate with our magazine. The time of Christmas is very special, also in Poland. On this occasion, we would like to wish you prosperity in life and a good New Year. 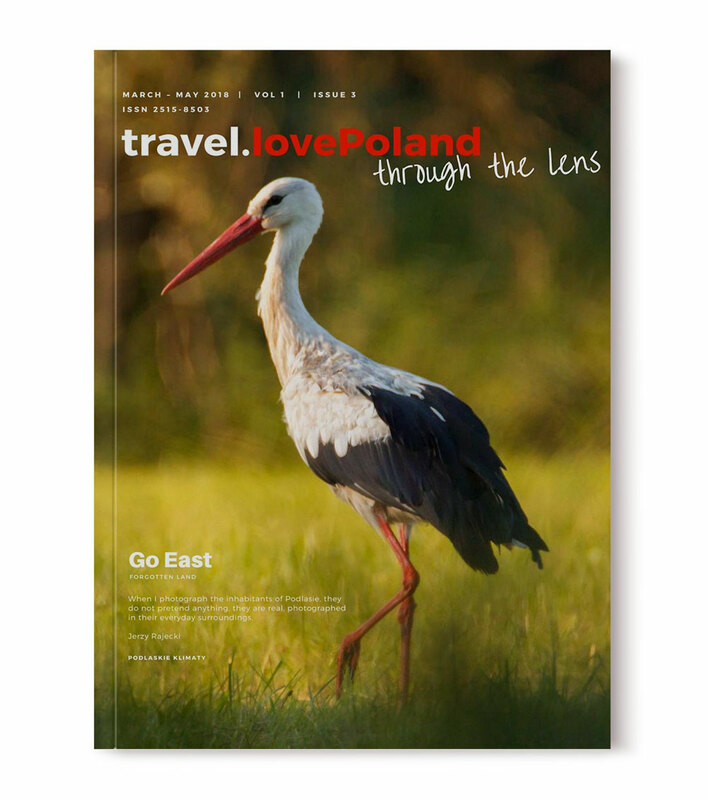 Welcome to the first issue of travel.lovePoland magazine. We have been running lovePoland.org profile over two years now and further development should be just a natural consequence of it. Let’s start with a new free online magazine. we hope that it will be an interesting source of information about our country, especially for our friends from abroad. 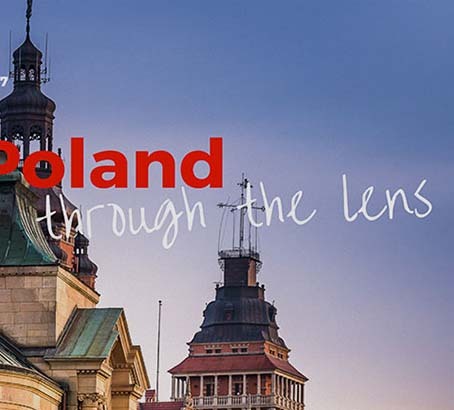 We would like the beauty of Poland to be presented through photographs to encourage you to get to know Poland better and to become an inspiration for your own research. We are especially grateful to the authors of the photographs for their cooperation at the first edition. Meet their creative works of art. This is an inspirational experience. Enjoy your reading. Cheers!